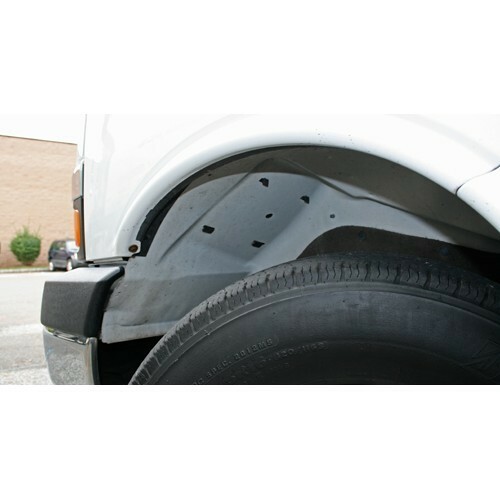 Protects vehicle underbody, rocker panels, wheel housings, sills and front and rear sections permanently from corrosion through stone chipping, road salts, etc. Synthetic rubber and plastic-based coating compound containing solvents and suitable for painting over. 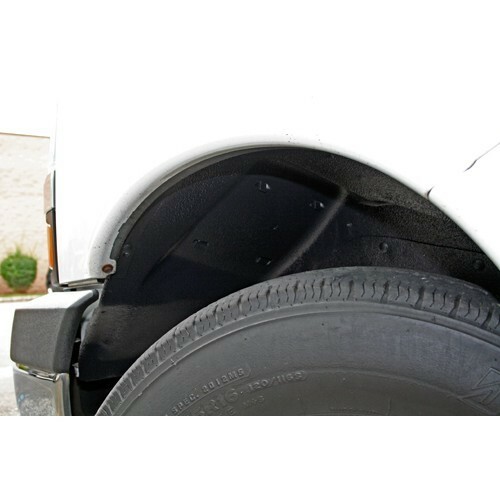 Protects vehicle underbody, rocker panels, wheel housings, sills and front and rear sections permanently from corrosion through stone chipping, road salts, etc. Deadens droaning noises from engine and luggage compartments as well as door wells. Fast drying. Permanently elastic. Impervious to temperature changes. No spray mist. No running or dripping on vertical surfaes. Paintable even with light colored paints. ▶ 1 litre can can be overpaintable after 6 – 8 hours with all paints containing solvents. ▶ Undercoating or priming is necessary before applying 2-compenent paints. ▶ Resistant to abrasion after curing and can be ground. ▶ Suitable for oven-drying at up to 60℃. 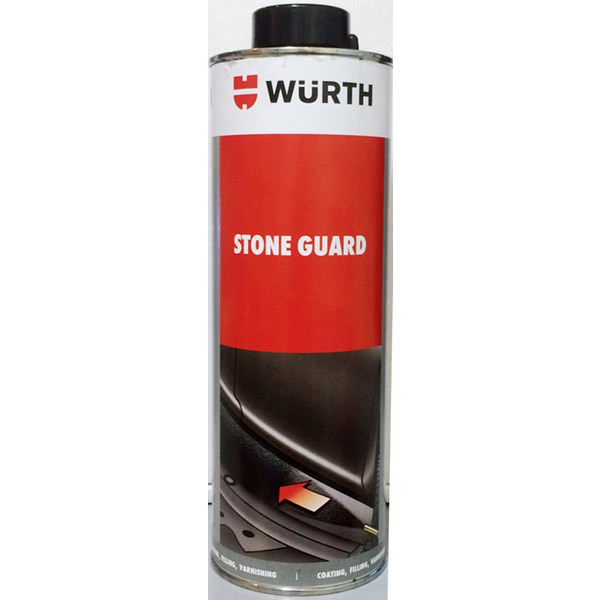 ▶ Active stone chip protection. 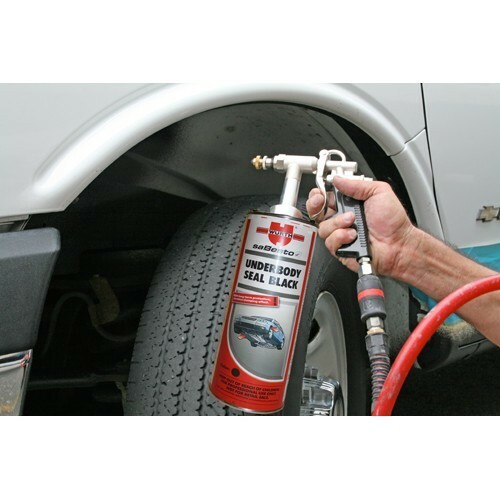 For touching up and for protecting the underbody, wheel wells, sills, spoiler, front and rear aprons, engine compartment, etc.